For those that have been earnestly trying to lose weight, the saying ‘sleep more weigh less’ does not make sense. How can that possibly happen? Is sleeping more not often associated with gaining more weight they may wonder. However, not having enough sleep actually affects your weight negatively. The more sleep deprived you are, the more easier it is for your body to gain a few pounds. 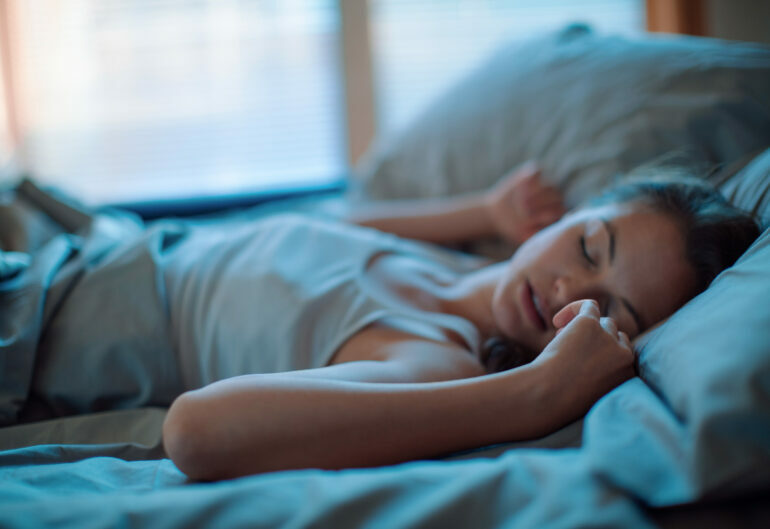 After series of tests and studies, researchers have agreed that having sufficient sleep is very important to your general health and well being. It is as important as your diet and exercise. Sleep deprivation is a snare that leads to other unhealthy habits and has its effect on the working of the body. For one, your brain gets dull and you are bound to make wrong decisions. Also when you are lacking sleep, you may be tempted to give in to cravings of food or other junk food. This is exactly what the American Journal of Clinical Nutrition reported. Their study revealed that people who don’t get enough sleep are more likely to grab a late night bite of unhealthy snack. It has also been proven that sleep deprivation triggers the hunger hormones. Getting less than the recommended hours of sleep has its effects, including making food more appealing to eat with stronger feeling of hunger. Being sleep deprived makes you feel more hunger. Less sleep also means your body will hang on more to fat in a bid to conserve your body’s energy. The bad effects sleep deprivation has on your weight is quite numerous. It is something everyone should try to avoid as much as possible. While sleeping does not automatically translate to losing weight, sleeping too little contributes to weight gain. So what should you do if you find yourself being sleep deprived? Here are a few things that could help you increase the quality and quantity of your sleep. Create a sleep routine. Each day, maintain the same set of activities some minutes before you sleep off. You can either decide to take a bath or simply read a few paragraphs in a book or do something you like. It is a really bad habit to press your phone or computer till you fall asleep. It is advisable to shut down all gadgets at least one hour before sleeping. If possible, try to sleep and wake up at the same time each day. Taking alcohol and other heavy foods late at night makes it quite difficult to fall asleep. Try to avoid these before bedtime. Switch off the lights. You are most likely to fall asleep in a dark room than in a lit room. So turn off the lights, lay comfortably, find your good spot, and enjoy a good night rest. Applying these tips religiously will ensure you sleep more and maintain good health and weight. Do remember to get the required hours of sleep, which is between seven to nine hours each night.